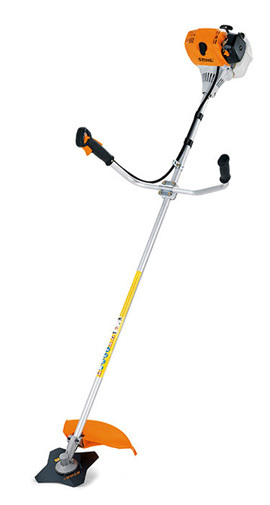 A petrol brushcutter with a powerful 4-MIX engine. 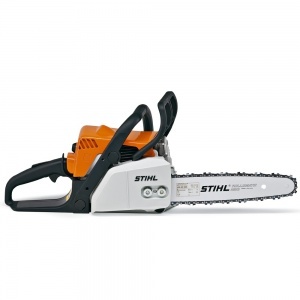 Boasting STIHL's innovative 4-MIX technology and a well-balanced design with bike-handle control, the FS 100 is a powerful yet comfortable machine to operate. 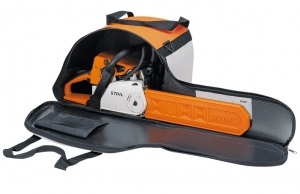 STIHL's 4-MIX technology results in a four stroke engine that operates on a mix of petrol and oil, benefiting from the advantages of both 4 and 2 stroke engines, without the drawbacks. You can expect faster acceleration, higher power, increased torque, less noise, lower emissions and improvements to fuel efficiency. Thanks to anti-vibration technology, oscillations in the FS 100's engines are effectively dampened, which results in reduced vibrations at the handles. The machine is operated using a bike handle, which, when used with a harness, means you can easily and comfortably guide it over larger areas without strain. 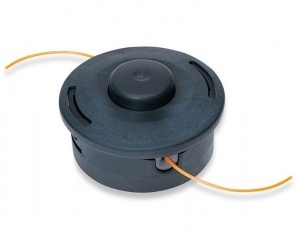 The handle can be adjusted without tools, and is rotatable by 90 degrees for simple storage. STIHL have opted for a multi-function control handle on this model, keeping all the important controls within easy, comfortable reach. Reliable starting is assisted by the electronic ignition model, and problem-free operation is assured.